Merry Meet Magazine began in 2000 as the newsletter of the Eastbourne Pagan Circle. 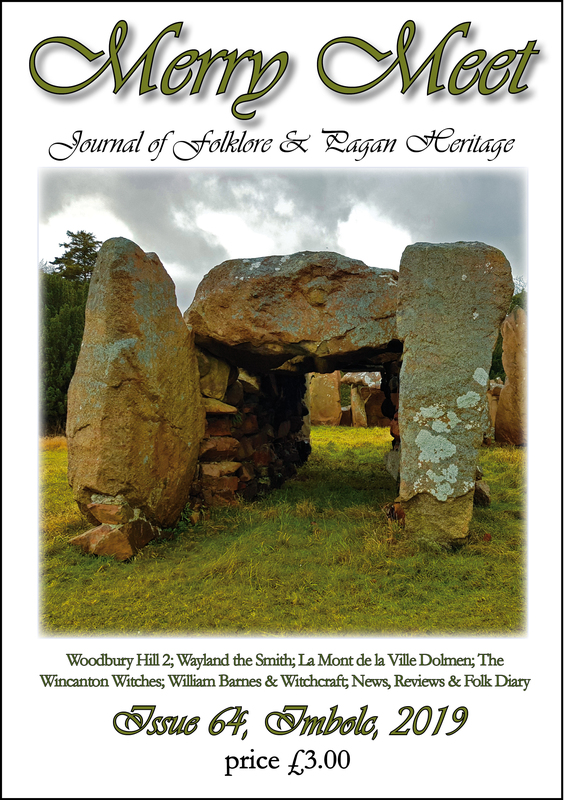 Since the demise of that organization as a friendly, mutually supportive group in September 2004 the magazine has become an independent journal of Folklore and Pagan Heritage, with a loyal subscribership. Issues are published three times a year, at the Summer Solstice, Hallowe’en and Imbolc. The editor still supports the Eastbourne Lammas Festival, which also became independent of the Pagan Circle at the same time, and subscribers are given the opportunity to donate money towards the festival when they pay their subscriptions. The magazine has become well known for its strong editorial stance on environmental and heritage issues, and the preservation of sacred sites lies at the heart of the magazine’s content. 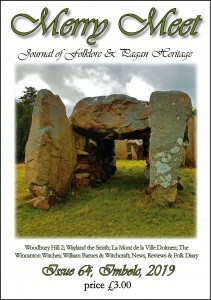 In 2008 Laurence Keen OBE, former Dorset County Archaeologist and ex President of the British Archaeological Association agreed to be archaeological consultant to the magazine. From issue 55, due to issues with poor attitudes to payment among some retailers, Merry Meet Magazine has not been available in shops. From issue 62, the magazine has gone full colour, and is available three times a year.